Sometimes the amount of information and advice available regarding child development can be overwhelming and confusing for parents. It is difficult to know which information is correct and how best to help your child. 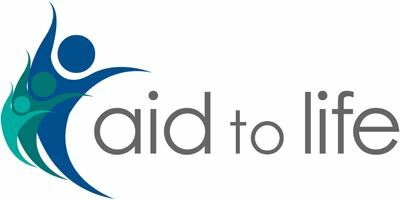 The 'Aid to Life' initiative aims to make information about supporting children’s development freely available to all parents in a form that is easy to understand and easy for any parent to apply. The principles adopted rest on the premise that children develop optimally when they are placed in an environment that supports their natural development, with an adult who understands how to connect them to productive activity and then allows them enough time to be active according to their own pace and rhythm. Make time for your child to do things in his own way and at his own pace. Aid to Life looks at how these three simple principles can be applied to the developmental areas of Movement, Communication, Independence and Self-discipline. At the moment this initiative only addresses the child between birth and three but it’s aim is to eventually address the full developmental continuum of the child through to adolescence. A website for the 'Aid to Life'. Aid to Life books are available from our online store.